Bangalore Drawing Room invites you to a fun, laid back art gathering where you will paint & laugh. 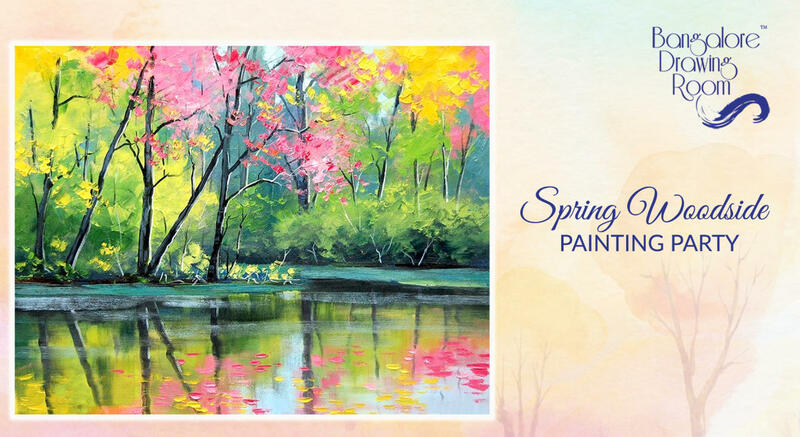 Discover the artist in you as you paint your version of "Spring Woodside." Art is all about expressing oneself, and Bangalore Drawing Room are just the non-judgmental platform that you need to do so. All types of artists and people with no painting experience are more than welcome! Bangalore Drawing Room's artists will be present at all times to guide you through the workshop and will be taking care of all the art materials. Oh yes, you get to carry the painting home! Ticket once booked, if cancelled 24 hours prior to the event, makes the participant eligible for rescheduling & if ticket is cancelled on the day of the event, rescheduling won't be applicable.